China is the world’s largest automobile market, both in terms of production and consumption. In 2015, the country produced approximately 24.5 million units and sold around 24.6 million units domestically. 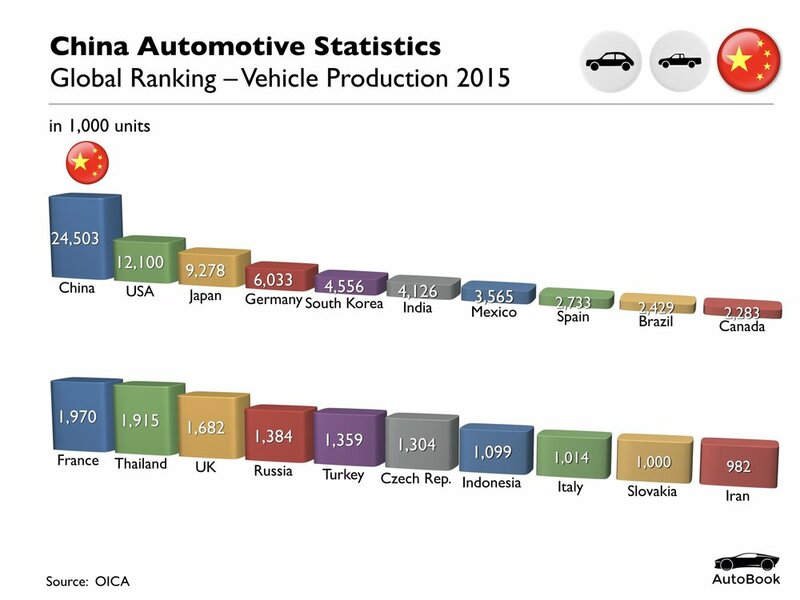 Our China Automotive Statistics "Standard Set" includes 12 pages with the most important data to understand production, sales, productivity, car population and density, forecasts as well as our famous "Porsche Economy" comparison.